You invested in a Generac automatic home backup generator, to keep from being without power. But just like a car, air-cooled backup generators need to be properly maintained to perform as intended. With power outages taking place daily throughout the country, you need to ensure that your generator is in good condition in case of an emergency. When was the last time your unit had its air filter, oil filter, and spark plugs replaced? Most air-cooled units need to be serviced every 12 to 24 months, or after every 200 hours of use, whichever comes first. 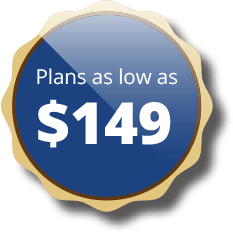 Make sure your Generac generator remains in good condition with our maintenance agreement plans. Our factory certified technicians will make sure your generator runs smoothly when you need it most. If your generator is experiencing issues, such as not exercising properly, give us a call at 845-331-2480 to schedule service and repair. We encourage our customers to get their systems serviced annually as a preventive measure. Some of you might be skeptical about us coming out every year. You wouldn’t let your car go 5,000 miles without changing the oil, so why would you do the same to your furnace or air conditioner? Regular maintenance keeps your system running efficiently, saving you money on your utilities and keeping your warranty intact. Enjoy comfort, security and convenience with permanently installed Generac home backup generators to protect your home automatically. Generac generators run on natural gas or liquid propane (LP) fuel, and sit outside just like a central air conditioning unit. A home backup generator can deliver power directly to your home’s electrical system, backing up your entire home or just the most essential items. 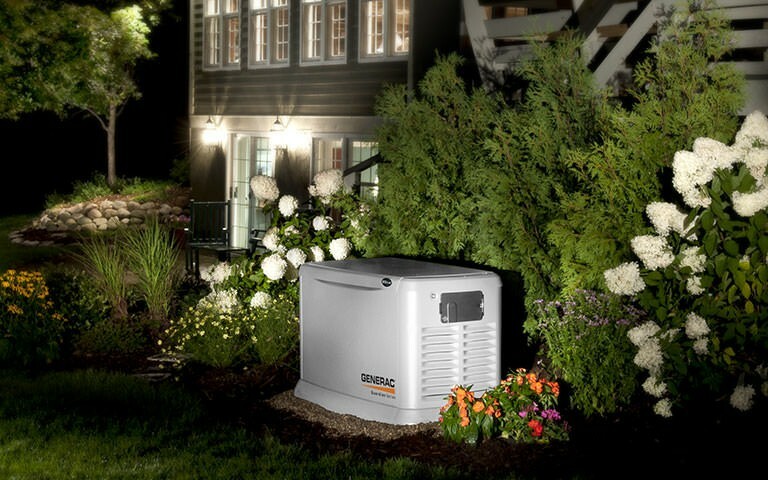 In the event of a storm or other cause of a power outage, a Generac generator will sense the problem and within seconds, your generator will prepare to restore your home’s power. A Generac generator will turn on automatically when power is lost whether you are home or away and will continue to generate power to your home until utility power returns. Your Generac home backup generator runs on your existing natural gas or LP fuel supply so there’s no need to refuel. 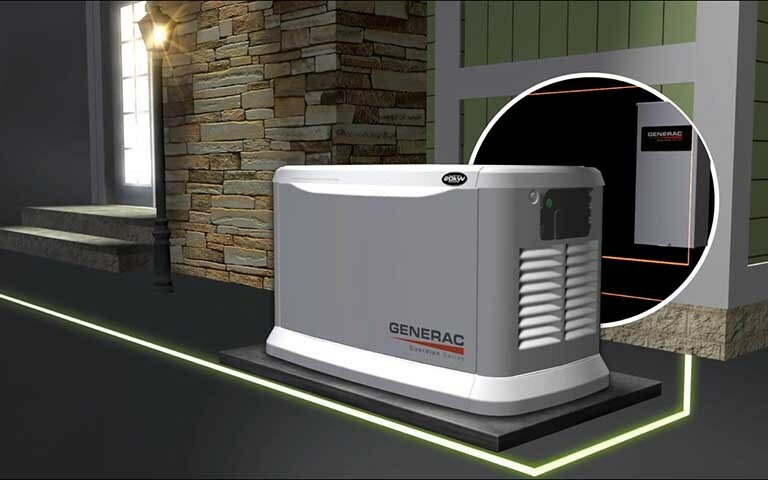 You’ll never have to run an extension cord through a window or door again with a Generac backup generator. Your generator will safely deliver power right to your home’s electrical panel.